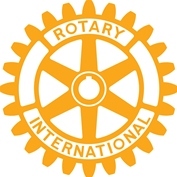 Grays Thurrock Rotary Club and its members recognise that the services it provides are often used by the general public, especially children and vulnerable adults, and we are committed to protecting everyone taking part in our activities from harm. Our club has appointed a Compliance and Safeguarding Officer to help ensure that we comply with specific legal frameworks and policies which are likely to apply to our activities. Please email our Compliance and Safeguarding Officer if you require further information, or wish to log a concern.